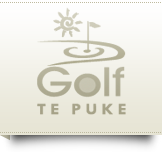 Online tee booking is now available for Te Puke Golf Club members. Click here to book a game online. For members without computers or non-members, please phone the Te Puke Golf Pro Shop 07 5331115 between 8.00am and 5.00 pm to reserve starting times. A reasonable standard of dress is expected from all club members and their guests at all times, while visiting our Bay of Plenty golf course - especially in the Clubhouse. Jandals, beach shorts, singlets and non-designer (such as work) type jeans are NOT considered an acceptable standard of dress. 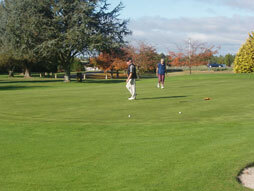 Click here to read more about course etiquette at our Te Puke golf club. For handicapping purposes, Golf Te Puke club members are required to return a card after each round or part-round of competition played, including match-play competitions. The card shall have clearly printed the member's name, the date, computer number, the competition, and be properly scored and signed by both player and marker. Closure of the course shall be at the discretion of the Golf Te Puke Club management, but this will typically only be done if the course is water logged or if spraying is required that requires closure. We also have two four-day closures in spring and autumn to do regular golf course maintenance. The use of more than two balls on the Te Puke golf course proper is prohibited. Read more about course safety here. 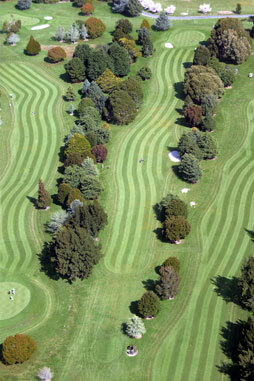 Please contact Golf Te Puke management, with any problems, queries or issues.